Today is the Release of Prince Caspian on DVD. This could make a big difference on Disney's entire production of the series. As of early November, Disney still had not given the green light for the next film…basically because the Prince Caspian didn't bring in nearly enough revenue is Disney was planning on. 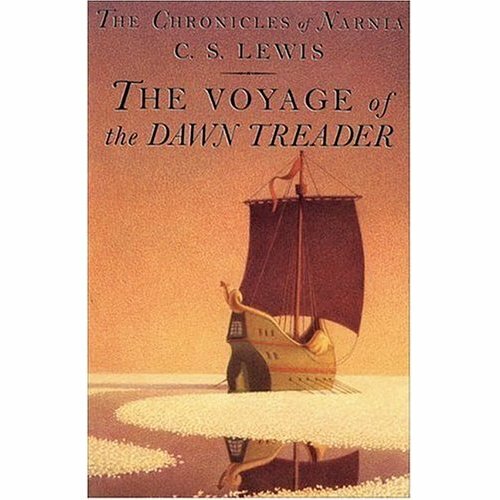 "Right now, we have no plans to go beyond 'The Voyage of the Dawn Treader.' If (that movie is) successful, I'd love to do 'The Silver Chair' after that." To be blunt, Johnson put the onus back on the "Narnia" audience. Saying that " … as long as you keep embracing these movies, we'll make all seven." With the unsaid part of this statement being "If you guys don't turn out in sufficient number for 'The Voyage of the Dawn Treader' in 2010, the series stops there." … Well, certain members of the current Mouse House management team view the "Chronicles of Narnia" as an Eisner legacy. A holdover from the bad old days when Michael — back when he was battling with Roy over the whole "Save Disney" movement and seemingly on the brink of letting Pixar slip away — needed some sort of good news to share with Disney stockholders. Which is why — given that the Mouse House (at that time, anyway) lacked its own hugely popular movie series like "Harry Potter" and/or "Lord of the Rings" — Eisner was eager to get into bed with Phil Anschutz's Walden Media in order to make "The Chronicles of Narnia: The Lion, the Witch and the Wardrobe." With the hope that this pricey production might then be the springboard to a whole new film franchise. But that was 2004. And this is 2008, with Michael Eisner gone and Pixar now a wholly-owned subsidiary of The Walt Disney Company. And given that Mickey now has a hugely popular film franchise of his very own (i.e. the "Pirates of the Caribbean" movies) … Pushing ahead with production of all seven of the "Narnia" movies doesn't seem like such a smart move anymore. Particularly if "The Voyage of the Dawn Treader" winds up earning less than "Prince Caspian" did this past summer. Basically, it seems like if sales don't go that well for the DVD sale today then Disney may not have long term plans for Narnia. If you are huge fan…I suggest you go buy as much as you can and tell all your friends too ! !